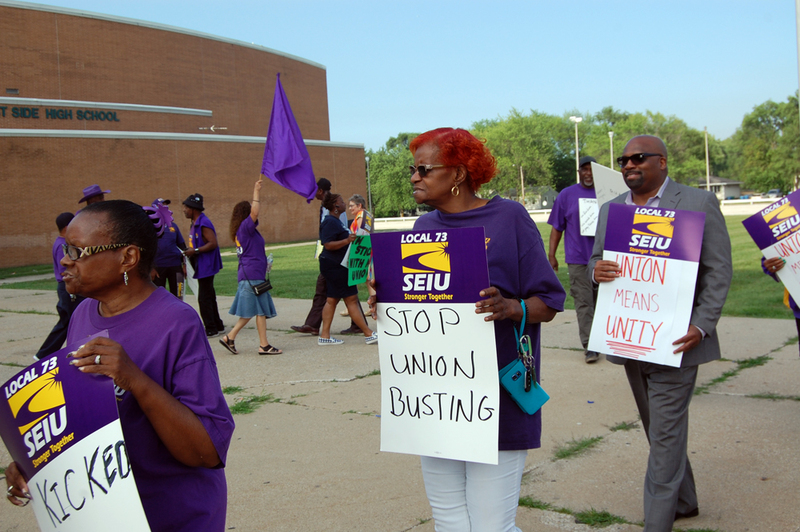 Outside of the West Side Leadership Academy Wednesday evening were secretaries, clerks, custodians, and maintenance employees protesting because their jobs with the Gary Community School Corporation have been outsourced to a contractor. Some may return when Gary schools open in August, if they apply for their old jobs and are accepted by the contractor Alpha Building Maintenance. Wendell Brown, a custodian with nearly 30 years in the district has applied but hasn’t gotten a response. While inside the school’s auditorium, Indiana’s Distressed Unit Appeal Board heard Emergency Manager Dr. Peggy Hinckley and her department leaders describe changes coming to the Gary school system, now under state control. 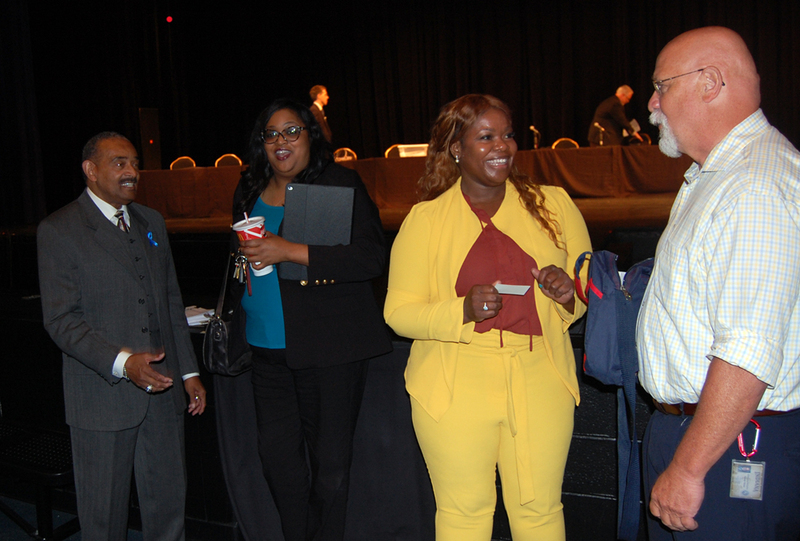 The DUAB acts as a monitor of Gary Schools Recovery, LLC, the team of Dr. Hinckley and MGT Consulting Group selected by the state to be its partner in operating the Gary school district. The 3-plus hour session, in West Side’s 2,000-seat auditorium, was out of the norm for the DUAB which usually holds its meetings in a conference room at the Indianapolis Statehouse, most times lasting less than an hour. The meeting even drew State Rep. Tim Brown from Crawfordsville and author of HB 1315, legislation that relegated Gary’s Board of School Trustees to a board in name only and limiting it to 4 meetings per year. Following the 2017 legislation that authorized the state takeover of Gary schools, Brown studied dissolving Gary’s public school corporation and considered sending its students to neighboring school districts. Highlights of the meeting were testimonies on the emergency management’s team progress in reducing the district’s yearly deficit and debt, improvements in accounting procedures, transportation, curriculum, food service, security, and special education. Those protesting employees are part of the details of reducing the yearly deficit, down to $15 million from the $18 million when Gary Schools Recovery started in August 2017. That yearly deficit is the monies the district is behind in paying its bills. 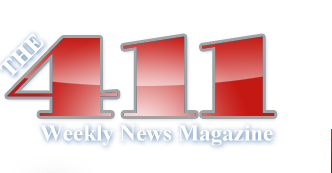 Although cost-cutting measures are in place, the emergency management team has to also increase the school district’s revenues. Keeping its current students and attracting new students are the motives behind roofing and parking lot repairs at West Side high school and Bailly elementary school. The district will have a new fleet of school busses. Some school kitchens and cafeterias will see upgrades. All schools will see improvements in air conditioning systems. It’s a big bet the emergency manager is making to retain and bring in more students, thus revenues to the Gary schools and it’s one she has to make to defy the projections of Rep. Brown. With the closure of Wirt-Emerson VPA, the band and dance rooms at West Side will also be renovated to accommodate Wirt’s performing arts curriculum. “I saved the best for last,” said Dr. Hinckley, introducing Dr. Tanya Housing, principal of the district’s new Gary Middle School that will be housed in the former Banneker School. Banneker’s K-5 students will now share space in Marquette Elementary School. The middle school received a $142,000 grant from the DUAB to fund a new lab. Gary’s State Rep. Vernon Smith, newly added to the DUAB as a non-voting member, brought eyes and ears of an educator to the panel. Other members at Wednesday’s meeting were Micah Vincent, DUAB chairman and Director of the Office of Management and Budget; Courtney Schaafsma, DUAB Executive Director; Wesley Bennett, Dept. Local Government Finance Commissioner; Paul Joyce, State Examiner, State Board of Accounts; and Tracy Brown, a Dept. of Education representative. Rep. Smith had questions or comments for many of the actions taken by the emergency management team. He asked for the source of funds for last year’s $3.5 million text book purchase. Eric Parish of MGT Consulting said the state gave the district permission to use Title I funds. “But the state wouldn’t give that permission to the school corporation when it was under our control,” Rep. Smith pointed out. On the $1 million savings in the Illinois Central student transportation contract, Smith said those savings could also be attributed to the closing of 2 schools and competition from other vendors. Were local dollars used to pay salaries of emergency manager team members? No, said Dr. Hinckley. How will you get Banneker parents to stay in the Gary district? “That’s a question we think about every day,” said Nakea Douglas, the district’s deputy superintendent. It’s not just Banneker parents. Banneker is in the Miller neighborhood, so is Wirt-Emerson. Parents of Wirt-Emerson students are uneasy about sending their children to West Side. Banneker parents don’t like the idea of having their school move into Marquette. Many of those parents have suggested they will go to another school district.